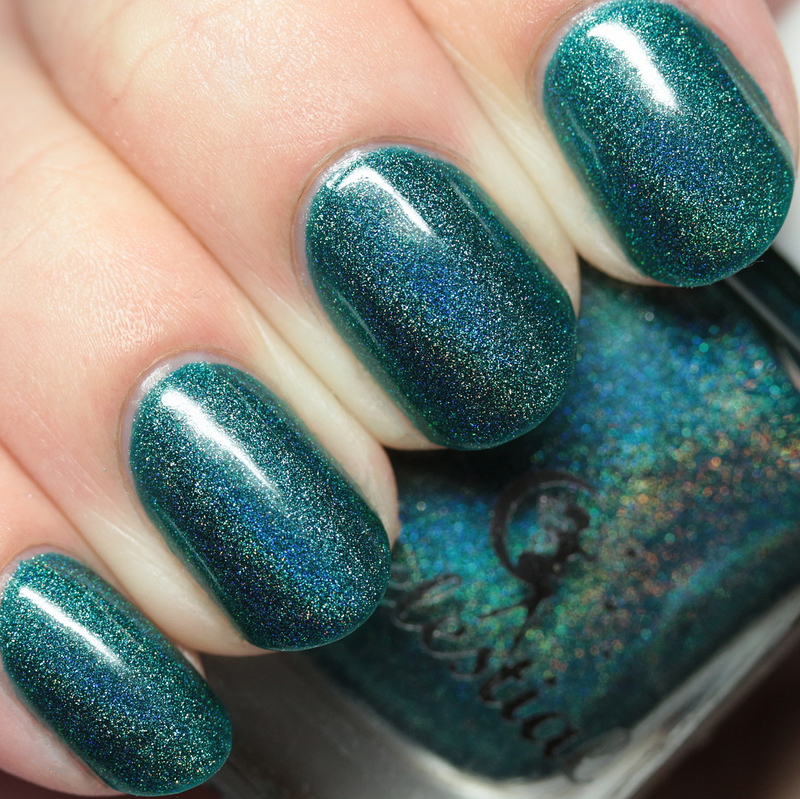 Celestial Cosmetics has just released a set of holo polishes that will knock your socks off! 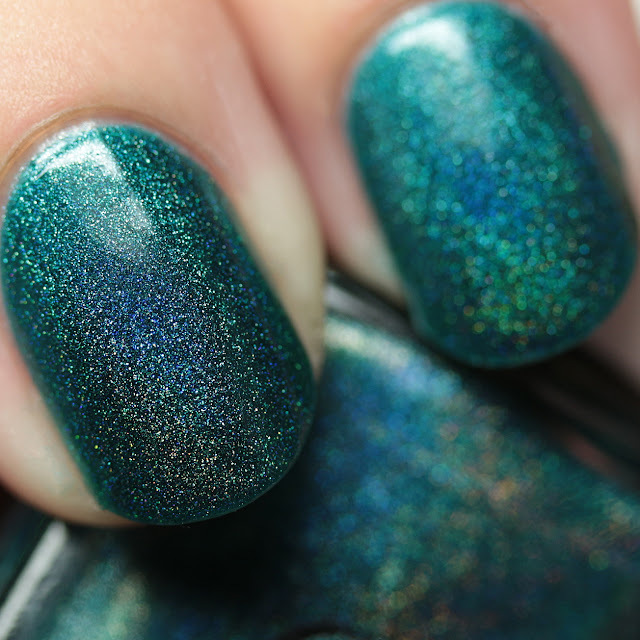 I am a huge fan of Nicki's holos and this collection has a fair number of the rich, vampy shades I like, along with some amazing brights. 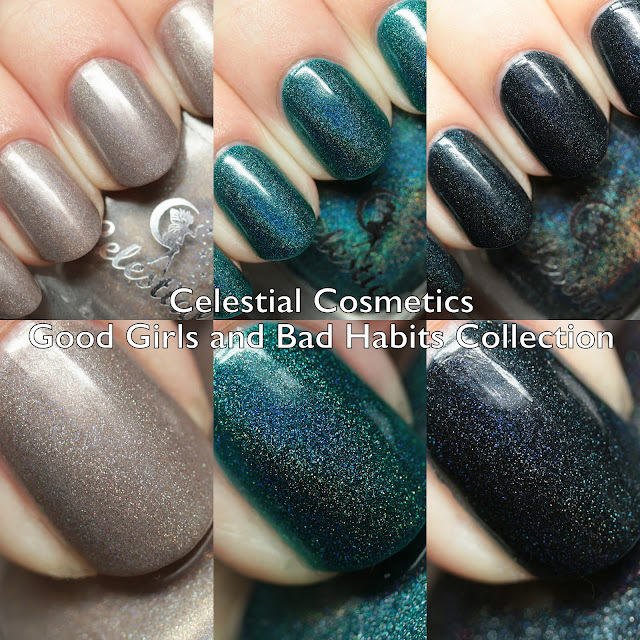 Let's get started with the Good Girls and Bad Habits Collection! 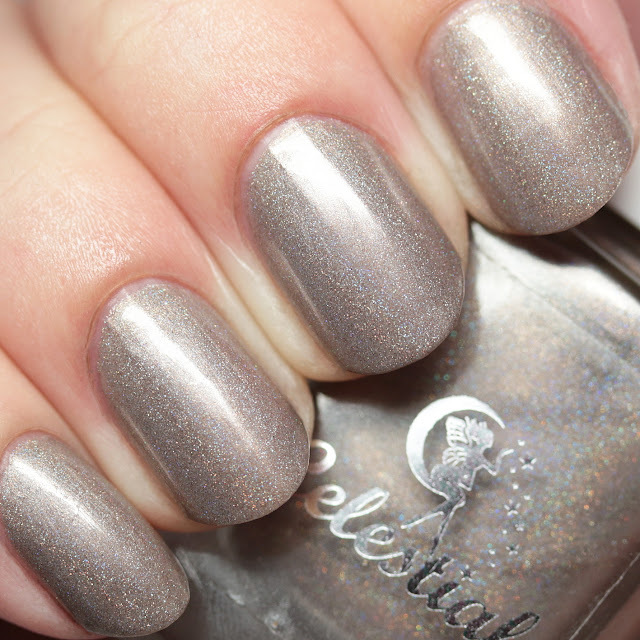 Buckle Up Buttercup is a gorgeous taupe shimmer linear holo with a wee bit of copper shimmer. I wore it in three thin coats, but two will do. 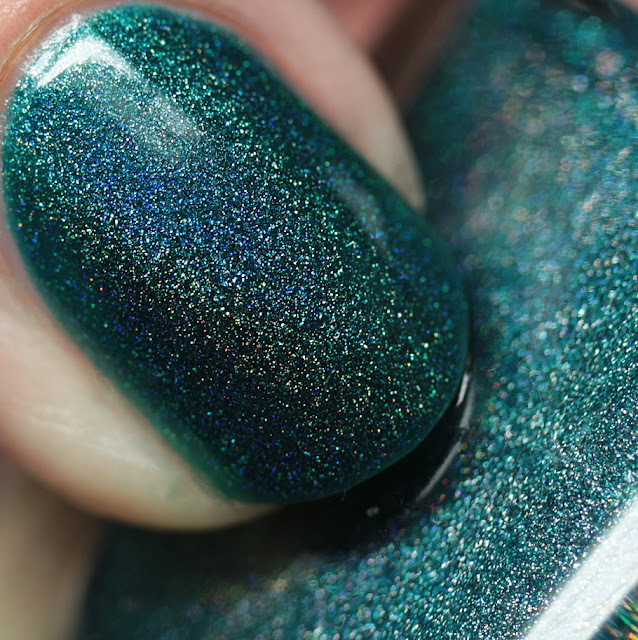 It has great dry time and formula and is not prone to brush strokes. Classy, Sassy, & a Little Badassy is the green-teal holo of your dreams! 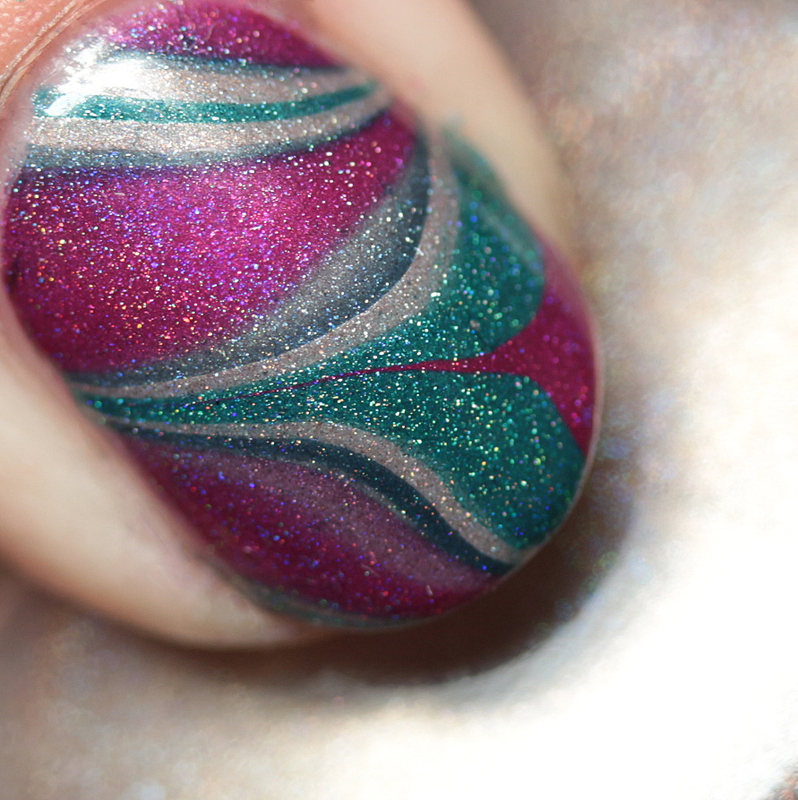 It has a jelly base and is mega holo. 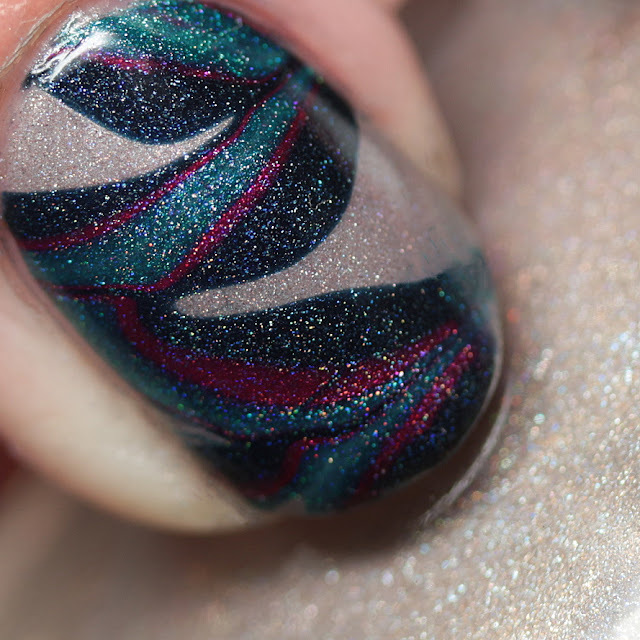 I wore it in three thin coats for maximum depth but fewer will do. 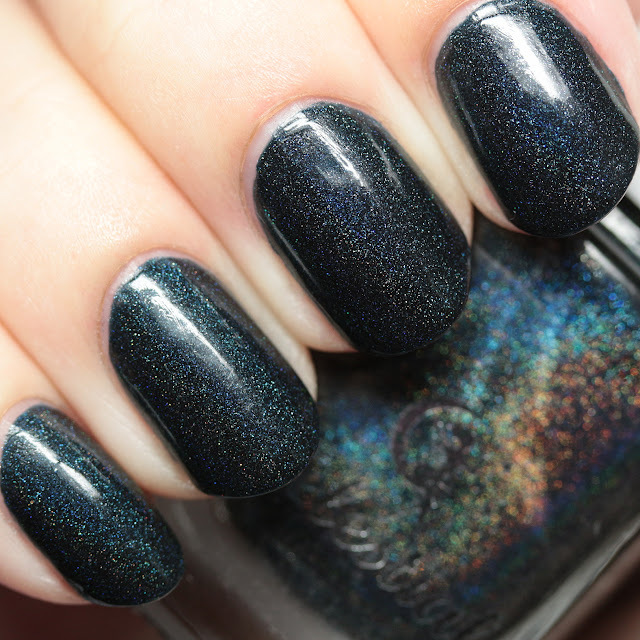 Good Girls Go to Heaven, Bad Girls Go... is a dark midnight blue linear holo. 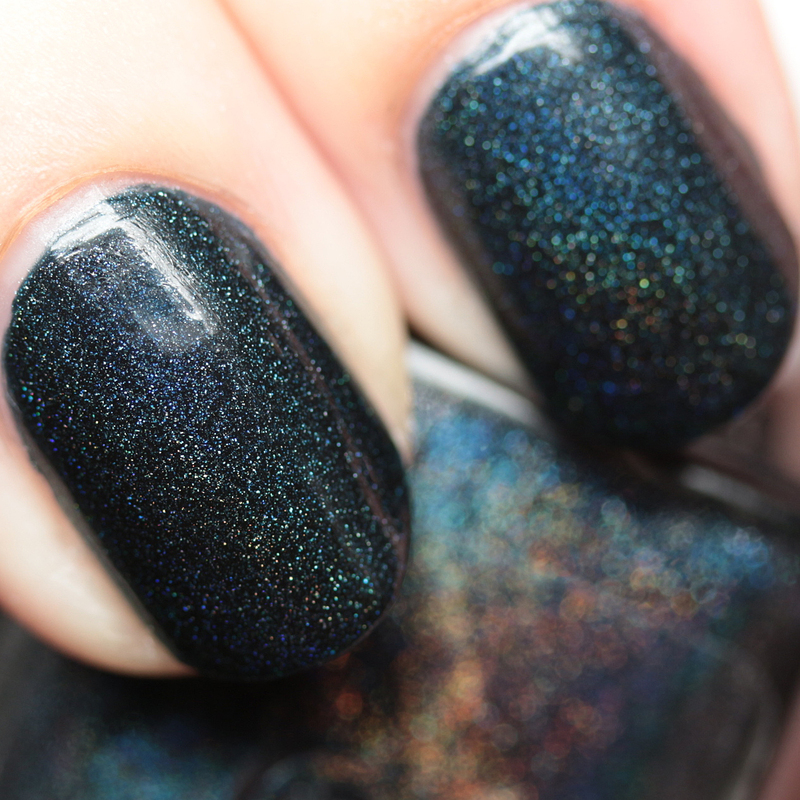 Is is super-opaque and can cover in one or two thin coats. Wonderful formula - dries quickly and doesn't stain in spite of being very opaque. I also tried these shades plus Hell in High Heels for a couple of test water marbles and they worked great! I will be back soon with a couple more posts covering the collection. The Good Girls and Bad Habits Collection is available right now on both the Australian and U.S./international site. Which one do you like best?